was finally torn down and they stripped mined the area. 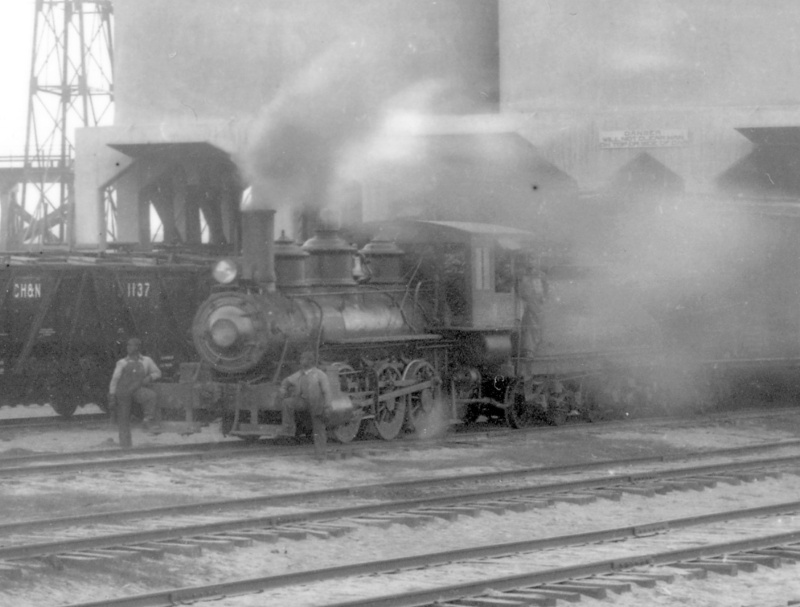 This is a closeup of the 2-8-0 being used as a switcher. 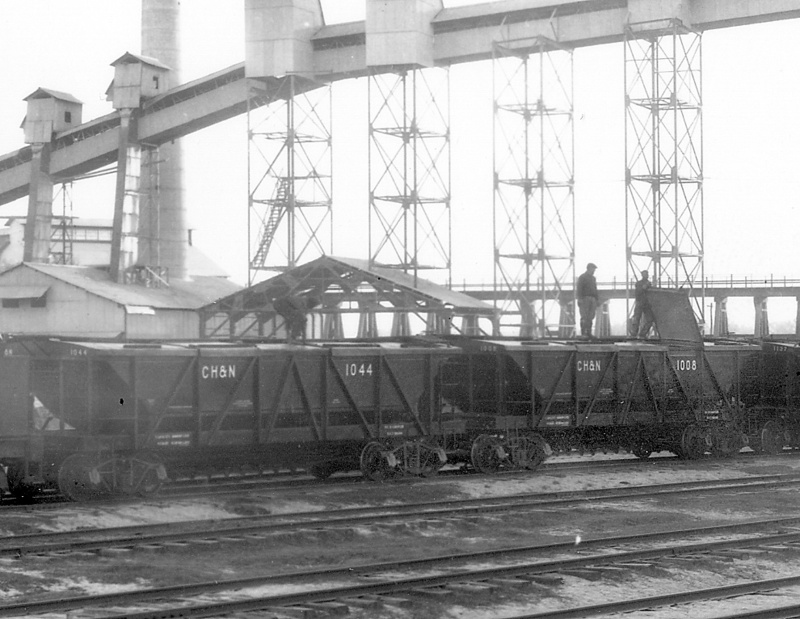 This ex CH&N engine was loading a long string of CH&N Phosphate Cars through the storage bins. 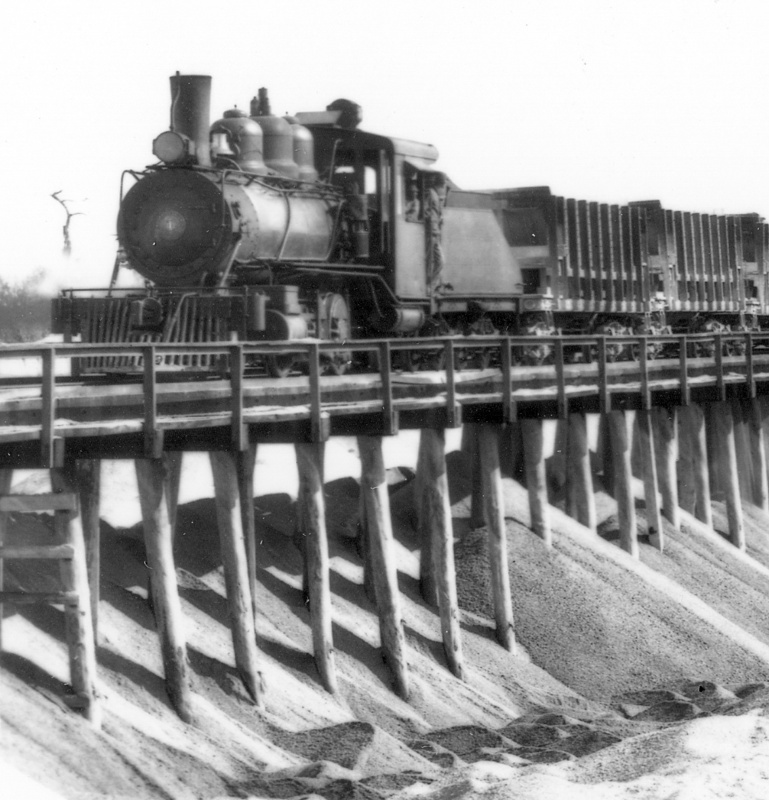 Here is a closeup of the 0-6-0 switcher being used to switch the bins. 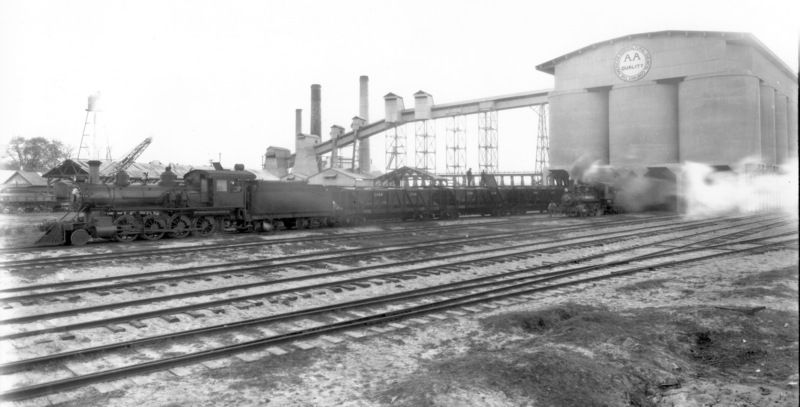 Note the CH&N Phosphate cars. 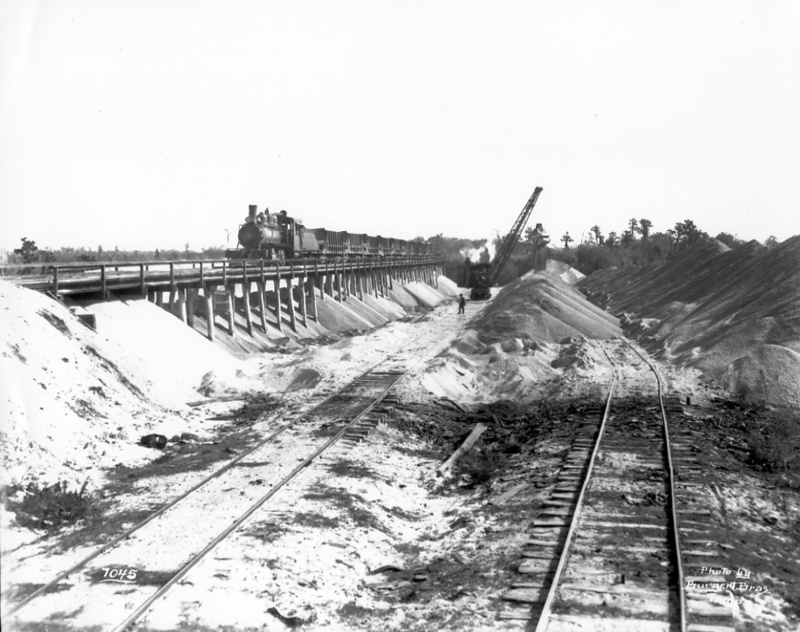 were used to haul dried phosphate south to the port at Boca Grande. Wet rock dump scene somewhere on the CH&N. Here rock was dump for later use. 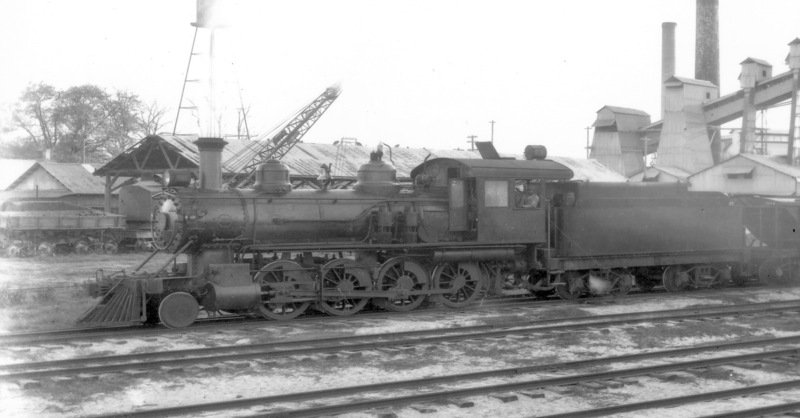 A closer view of 0-6-0 #1 at the dump. 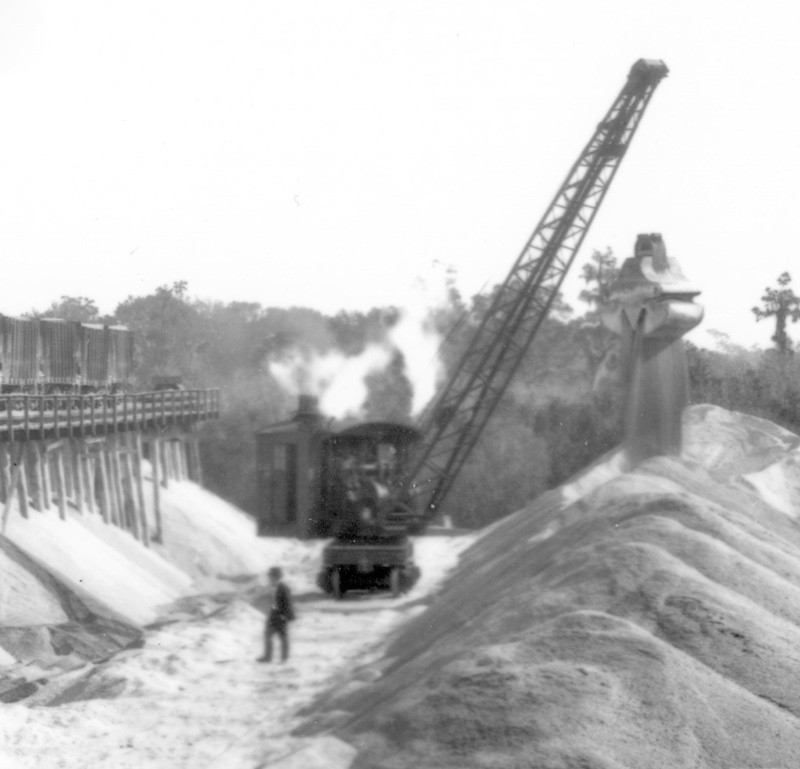 Steam shovel at work on the dump. To Part VI Maps and Stuff.